The great recording engineer/producer David Baker has passed on...left the planet. This comes as a total shock to all who knew him. He died peacefully in his sleep after finishing a recording date in Rochester, NY, July 14, 2004. He has contributed to many prestigious audio recordings for many record labels and independent artists. He is survived by his wife Kyoko Baker. We will miss him and thank him for his great work and contribution to high quality music recordings and as a friend. David Baker's releases on Amulet include Pitamaha, Bamboo Rainsticks, Bittersuite in the Ozone, Love Animal, Black Elk Speaks, The Turntable Sessions, and For No One In Particular. It should come as no surprise that David Baker has stayed a busy person in the recording industry with over 2,000 recordings to his credit. His qualifications practically start before his birth, in 1945, through his grandfather. The elder Baker was a salesman for Columbia Records in the late twenties. At age six, Baker's father, Harry, established Baker Audio in Atlanta, GA. David grew up around this business and assisted in installing large hi-fi systems with his father. Baker Audio eventually housed an AM/FM radio station and became know as the "House That Music Built". This environment can be credited for sparking Baker's interest in engineering as he began making amateur recordings of everything from B Minor Mass to Jazz Big Bands and editing tapes at the radio station. 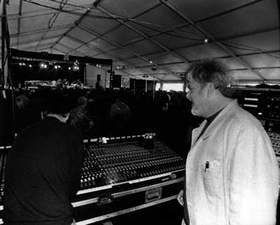 Not too long after, Baker began coordinating sound for the Atlanta Arts Festival, which required operating all stage audio and preparing over sixteen hours of music per year. In 1965, at the age of twenty, Baker headed out to work on his biggest undertaking at that point is his career. The Civil Rights movement was gaining strong momentum at that time in history, and Baker was recommended for some recording work that was needed. Baker headed to the Mississippi Delta and began doing a number of field recordings ranging from registration drives to church hall meetings. According to Baker, "The Civil Rights Movement had a profound influence on my life in musical engineering." The final product of these field recordings became the important Movement Soul album, which is still available from the Library of Congress. It was now 1967, the "Summer of Love", and the jazz scene was in the middle of a major metamorphosis that would change the history of the genre. Baker knocked on the door of Apostolic Studios in New York City; at the time it was home to Frank Zappa and the Mothers. Baker stated that he knew right away this was the place for him. After years of experience, Baker also began formal training at The Royal Conservatory of Music in Toronto during the summer of '67 and The Institute of Audio Research in NYC during the fall. He remained at Apostolic, as Chief Engineer, until they closed their doors in 1970. It was during this time Baker made the Spaces album with John McLaughlin and Larry Coryell. With Apostolic closed, Baker headed to Portland on the advice of a friend. He quickly became indifferent to the scene in the northwest and returned to New York City within six months. He now found himself working as the Chief Engineer for No Soap Radio, a small advertising agency in the Village, producing radio jingles. In 1973, Baker knocked on the door of Vanguard Records. He became their Chief Engineer, where he remained until 1975 to pursue an independent career. At this point a strong connection between Baker and Japan became established. 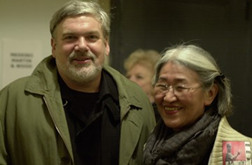 Baker had met engineer Yoshihiro Suzuki and began working on projects for the Phillips/Eastwind label. His connection with Suzuki and producer Yasohachi Itoh is still a strong working relationship today at Sony Records. Baker remained primarily a free-lance engineer until 1986 when he began the undertaking of remastering the entire Vanguard Classics catalog for CD re-release. He has worked for ECM, Enja, Blue Note, Atlantic, Sony, Verve, Black Saint, Soul Note and Amuletâ€¦just to name a few. With combined project sales well into the millions, Baker has no intentions of slowing down. "Record production quality at the source remains my primary goal," says Baker. This statement is quite evident on his newest project Pitamaha: Music from Bali, which sounds more like a studio recording than a field recording. He has so many accomplishments that they could not all be listed. His long-term relationship with Shirley Horn recording for Verve has earned a Grammy, and to date he has traveled the world over in the line of duty. Baker has become one of the masters of the art of recording. Many people can do it, but very few can do it with the dedication and distinction Baker has achieved consistently over the last three decades.